High Level order pickers are manoeuvred from in a cage attached to the fork carriage and pallets are used to manually handled items on and off the pallet. The forks can be raised or lowered to maintain a comfortable working height for loading items on the pallet. 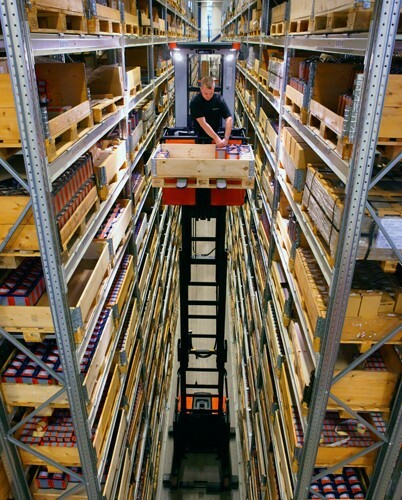 They can operate in very narrow aisles, using wire or rail-guides and can lift loads up to 15.85 meters high, moving quickly between the picking stations.